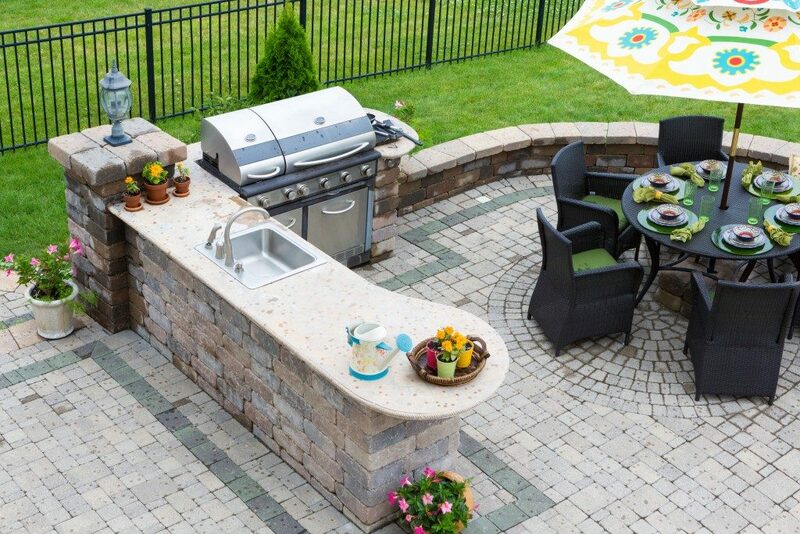 An outdoor kitchen is a convenient way to entertain and share meals with family and friends. It can begin with just a grill, until you’re slowly adding more appliances as you expand. Of course, like all outdoor spaces, you can customize the space with kitchen countertops and cabinets to meet your needs. This outdoor feature can come in all sizes and shapes, depending on their purpose and functionality. If you’re the type to host a lot of people, whether for parties or small get-togethers, you’d want your outdoor kitchen to look its best. And choosing the right color schemes is one way to improve it. 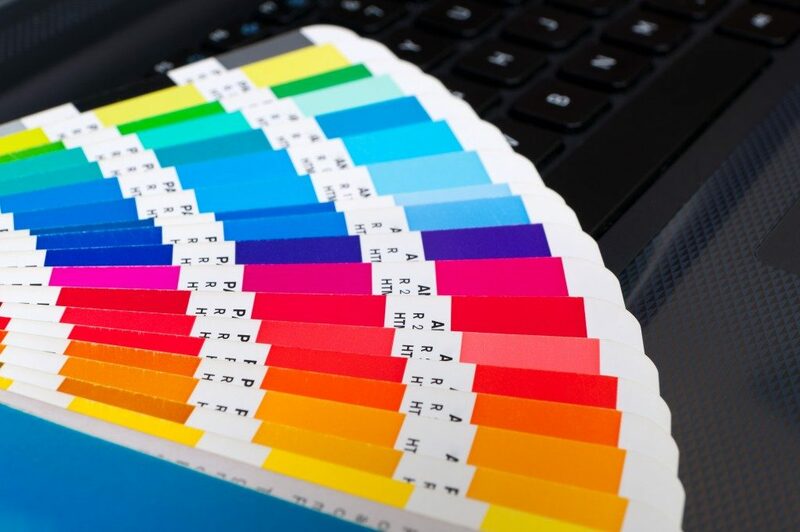 Color schemes are the chosen colors used in a design for any medium. Color schemes create style, enhance appeal, and add an overall aesthetic to your outdoor kitchen. In choosing your palette, use the color wheel. The color wheel provides a visual representation of which colors look good when paired or blended together. You can choose from primary, secondary or tertiary colors. From there, you can pick your base color, and then the palette you’d like your outdoor kitchen to have. Among all the other color schemes, the complementary color scheme is the simplest. It uses two colors opposite one another on the wheel. Between the two, one acts as the dominant shade, while the other becomes an accent. Color combinations in this scheme are: red and green, blue and orange, or yellow and purple. Keep in mind that this scheme is extremely high contrast, and is best used in small doses, and if you want to draw attention to a particular design element in your outdoor kitchen. Patio kitchens with vibrantly colored chairs and a neutral-colored table and countertop are good examples of this color scheme. Analogous color schemes refer to using three colors in a row on the color wheel. Usually, two colors chosen should be primary colors, with the third shade a mix of the two. Proportion is important in applying this color scheme. One shade is dominant, the other acts as a support, while the most vibrant color becomes an accent. Most colors in this scheme are: red, orange and yellow, and red, and purple and blue. Monochromatic color schemes, on the other hand, are similar to the analogous color scheme, but with neutrals. These are colors of black, white and gray instead of more vibrant shades. Outdoor kitchens with monochromatic color schemes have a rustic vibe. Brick walls charred to black for dramatic effect, with a mini white colored sofa, and gray colored tables and chairs. Triadic color scheme uses three colors with equal space between them on the color wheel. This arrangement is extremely bold, since the colors used are pure hues and are contrasting. The possible color combinations for this type are: violet, orange, and green; yellow-orange, blue-green, and red-violet; blue-violet, yellow-green, and red-orange, and red, yellow, and blue. When using lively colors in this scheme, take note of nearby spaces. Putting two triadic color schemes together makes it look too busy and, thus, overpowers the overall design. Outdoor kitchens with this type of color scheme often feel playful with the bold color choice. Fiery orange grills and violet colored chairs complemented by the greenery in your yard will definitely make it stand out. The split-complementary color scheme is similar to the complementary color scheme but with milder colors. Instead of pairing two colors opposite one another on the color wheel, you’re pairing one base color with two shades lighter or darker. These two shades show a sense of balance once applied without the use of neutrals. The possible pairings in this color scheme are: red, yellow-green, and blue-green; red-orange, green, and blue, and yellow-orange, blue and purple. Outdoor kitchens with this color scheme exhibit a cool, easy on the eyes vibe. Blue kitchen cabinets, a yellow-orange grill with purple chairs are an example of an outdoor kitchen using this color scheme. Have fun mixing colors as you personalize and decorate your outdoor living space. Your family and friends will be seeing your outdoor kitchen constantly, so it’s important to choose a color scheme you’re comfortable with. With tons of color combinations to choose from, livening up your outdoor space is trouble-free.